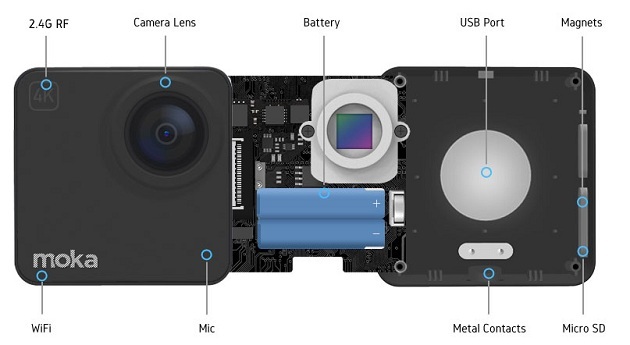 Mokacam is the smallest high definition 4k camera in the world which will be available early in 2016. 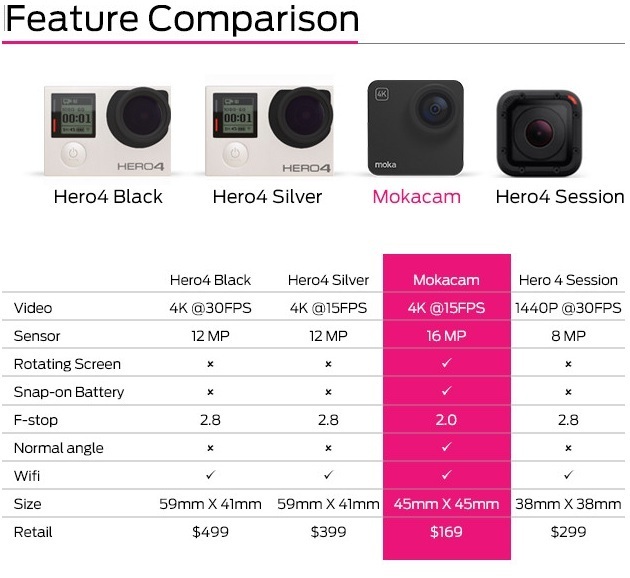 The other cameras have more or less all the same functions but because of size and price Mokacam outruns them in the race. 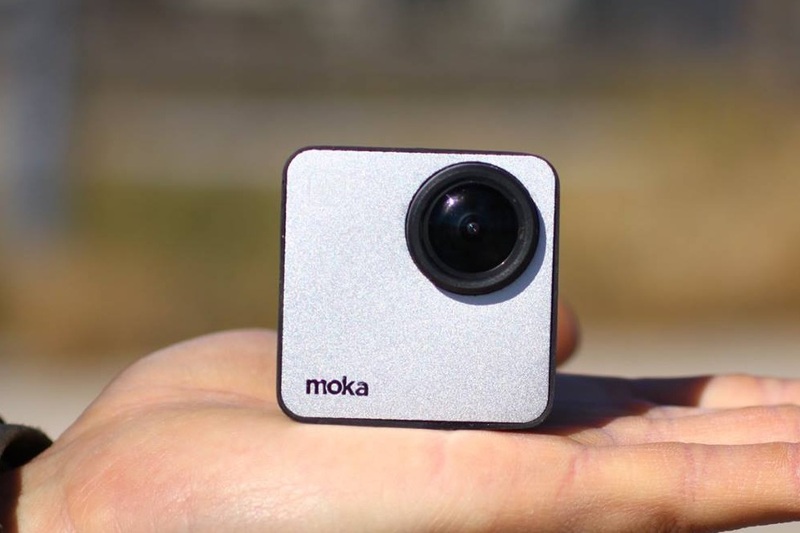 Mokacam shots high definition 4k images and videos with a 16 mega pixel sensor by Sony and has a field of view of 152°. The cube-shape Mokacam measures 45×45mm and weighs only 79g, making it easy to carry in pockets or bags. The built-in magnet allows attaching anywhere on pole, benches and even on cars The Mokacam is housed in waterproof shell that promises to protect up to 60 meters depth. Besides photos and videos, it features slow and accelerated motion function, a high performance microphone, microSD card slot and a USB port are integrated. Easy to use it has an on/off button and a steerable rotary screen 270°. A magnetic easy-to-stick 1100mAh battery powers it for 3 hours. A free iOS and Android app let you control Mokacam during shooting. 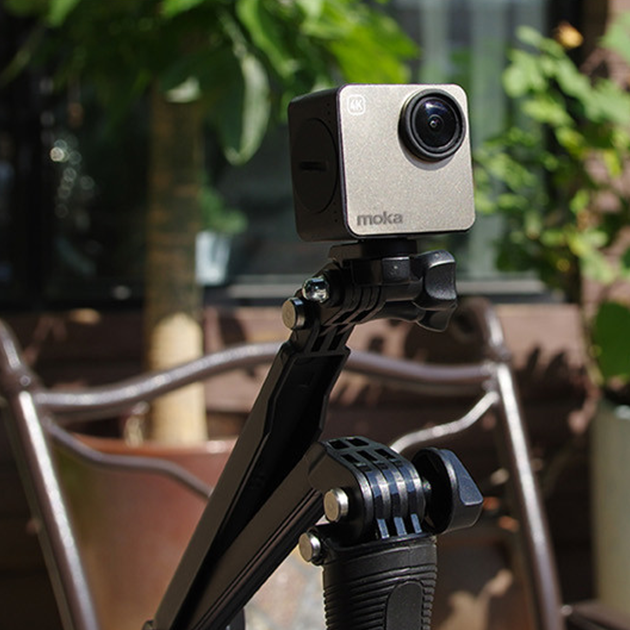 The Mokacam available in 3 colors (black, gold and blue) and is available for pre-order on Indiegogo at the set price of $99 for the first 1,000 buyers and $129 for latecomers.